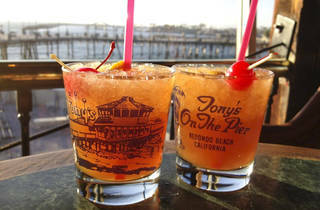 Drinks by the ocean, crab stuffed shrimp, old-school kitsch—there's plenty to make Tony's on the Pier a viable Redondo Beach destination. 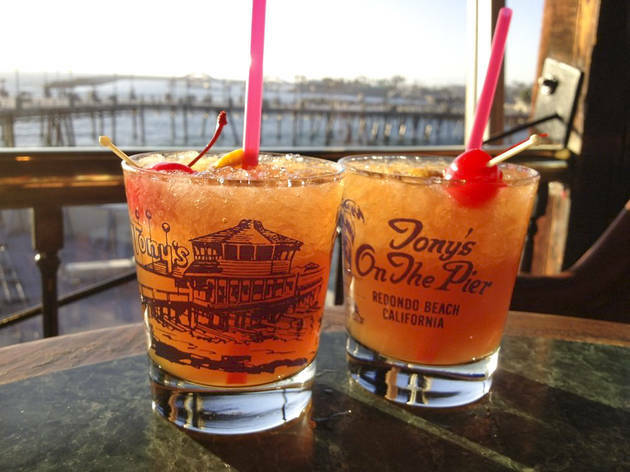 Known to some as Old Tony's, the seafood joint on Fishermans Wharf is a solid spot to catch up with friends over oysters, get tipsy on Tony's famous Mai Tais or watch the sun go down with your sweetheart. LOVE Tony's on the Pier. The restaurant has such great food and ambiance (I particularly like the table in the bar with the fire pit in the center) and the bar on the top level has great views of the Redondo Beach Pier and the ocean. The mai tais here are delicious, but be careful because they are super strong!